We’re that casual place that you come for happy hour or by yourself or with a friend. But we’re definitely a place that you can bring a crowd. Because what’s better than awesome tacos and cold beer? Awesome tacos and cold beer with your friends! So the next time you’re feenin’ for some tacos, hit up seven of your buddies and come dine at our 8-top. We’ll keep the tacos coming and drinks flowing. See you soon! 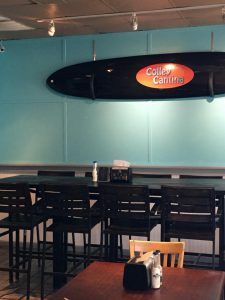 Sometimes we think that when people hear we’re a taco joint they think that it’s a greasy dive that cooks up some good food but maybe has a run-of-the-mill connotation, but to us, that couldn’t be further from the truth. When it comes to our menu, we take pride in our creations. From the choicest ingredients to the creative pairings and cuisine fusions we hope that our menu brings you an experience. So the next time you’re looking for an experience that meets your needs, tacos and good food, stop by and grab a taco with us. We think you’ll be happy. Pretty much everyone loves tacos. We know we do and we’re proud to be serving up some of the best tacos in the Hampton Roads area. Whatever your taco fancy, we’re pretty sure that we make it. 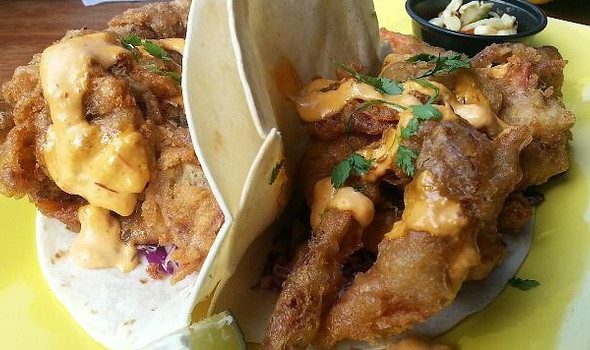 Fish tacos of all kinds. Beef, chicken, and specialty tacos too. There’s never a bad time for tacos, especially paired with an awesome margarita. So, if you’re in the Ghent/ODU area pop in for a few. We always have something going on so it’s sure to be a blast. See you soon! We all love tacos. And we definitely love them when they’re just $2 bucks! That’s right, come out to Cantina on Friday for $2 fish tacos from 11am-5pm. It’s a great opportunity to kick off the weekend with bang for your stomach and your wallet! Will we see you this Friday?